When visiting the Shotgun House in Santa Monica, it is easy to feel as if you have been transported to the South. This one room wide, three-room deep “shotgun” layout is uncommon in Southern California. However, it is a commonly found vernacular style in the South, particularly in New Orleans. This style certainly has creole roots yet is debated among many scholars to be influenced by many different cultures and social factors. One popular theory is that the style arose when real estate taxes were based on the length of the homes front façade rather than the home’s entire square footage. Regardless of the influence, the shotgun house has a cult of admirers today and remains a fascinating architectural design. The Shotgun House in Santa Monica underwent restoration in recent years led by the Santa Monica Conservancy, who now occupies the structure. Once a house under threat of demolition, the house now serves as the Conservancy’s Preservation Resource Center. The project not only preserved this precious resource, it also received LEED Gold Certification. Spectra performed environmental abatement and remediation. 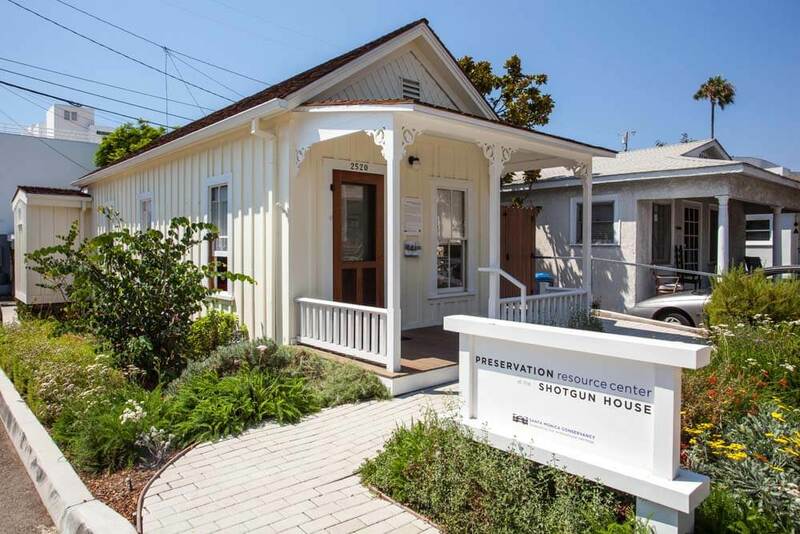 The Shotgun House is a Santa Monica Landmark and has won numerous preservation awards.